Home > Uncategorized > 11th July – The Pain is all so Familiar! 11th July – The Pain is all so Familiar! Most times when someone close to you passes on, the first emotions and thoughts that cross your mind are often just emotions of blankness. You somewhat hope deep down that someone is pulling a really really sick nasty joke. Numbness may even take over your senses. After the news has been re-echoed, it begins to dawn on you that maybe the bad news really is more factual than not. And then the pain begins to slowly inch in, almost imploring that you slit your throat and get it over with! But Alas! You have to face the bitter and painful fact that a loved one has indeed passed on. Somewhere in a rather little but abnormally beautiful country called Uganda, 11th July is a date that will forever evoke memories of sadness, pain, grief, loss and utter shock all rolled into one. While the rest of the world was eagerly getting ready to glue their eyes on their TV screens for the 2010 World Cup Final between Spain and Holland, a couple of evil minded people were planning to stage what would turn out to be one of the deadliest ever terrorist attacks in Kampala. And as the game was in its closing stages, the most distressing thing happened to little Kampala – two simultaneous bomb blasts occurred at separate spots in the city. The lives that were lost that night and the subsequent days due to related injuries have since been extremely irreplaceable. For weeks on end, Ugandans failed come to terms with this painful occurrence and even today, many still live in sorrow and pain, some even in denial; unable to believe that their loved ones are long gone. One might be attempted to argue that if death will eventually befall every one of us, what is the big deal with anyway? Well, the feeling of loss and emptiness is only all too familiar when the lost person was closer to you than to others. I personally knew about 3 of the people who passed on and so it is was not impossible for me to shed a tear after receiving the news (inspite of my rock-like interior). Two years after the unfortunate incident and the wounds of loss are still fresh! It almost feels like just yesterday we were all looking forward to that all-so-anticipated game. 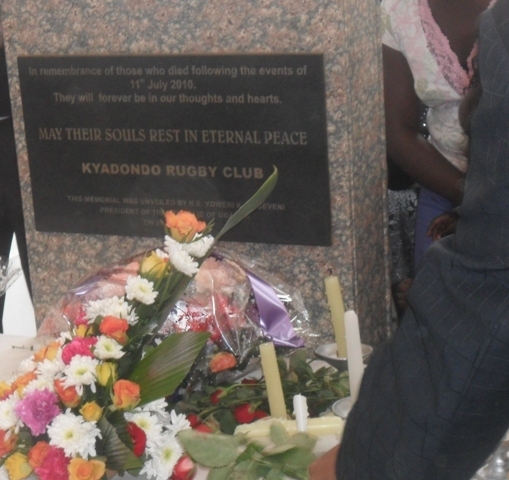 Why on the night of July 11th 2012 I personally failed to make it to Kyadondo Rugby Ground where the bomb blast actually went off is something that still baffles me; but makes me know that maybe my time was not yet due. And I would like to think that surely fate could have been less cruel with the innocent people. 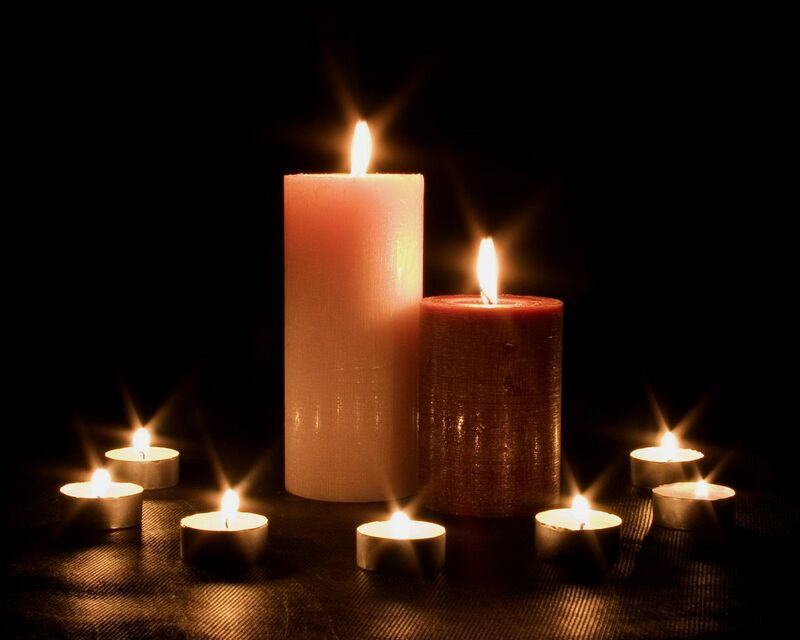 As we remember their passing, it would be prudent, fitting even, to say something really nice and probably nice to hear about the departed souls. However, their passing still feels like a fresh wound that is only getting opened a new. The fresh wound will not let us think up nice things or sweet things to reassure ourselves in absence of the departed friends. So we simply look up in the clouds, shed a tear and tell the Good Lord to Rest their Souls in Peace. There is not enough calmness in our hearts to conjure up sweet messages; just pain, sorrow, grief and above all sadness. To the departed friends, relatives, family, colleagues and sports lovers who are not with us anymore because of that unfortunate event, we would like to say; We have never stopped Loving You; We have never stopped Missing You; and above all, We have never stopped Praying for you to Rest in Eternal Peace.